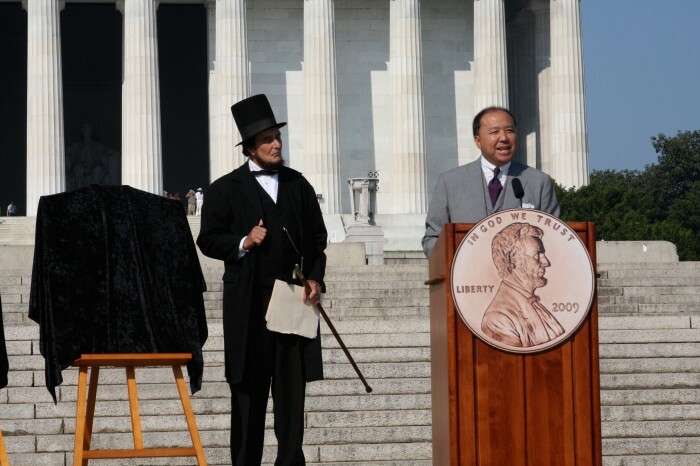 With President Abraham Lincoln, I am delivering remarks before unveiling the four new penny designs to celebrate the Lincoln bicentennial in 2009. A view from the media gallery. 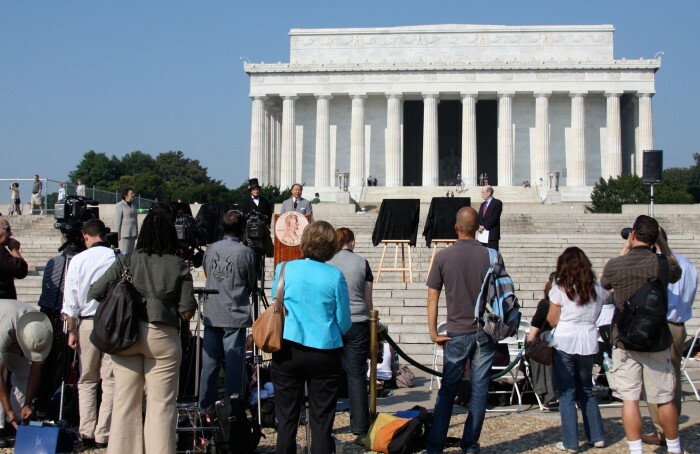 Eileen Mackevich, Executive Director of the Abraham Lincoln Bicentennial Commission is on the left, Abraham Lincoln is left center, myself, and Harold Holzer, Chair of the Abraham Lincoln Bicentennial Commission is on the right. 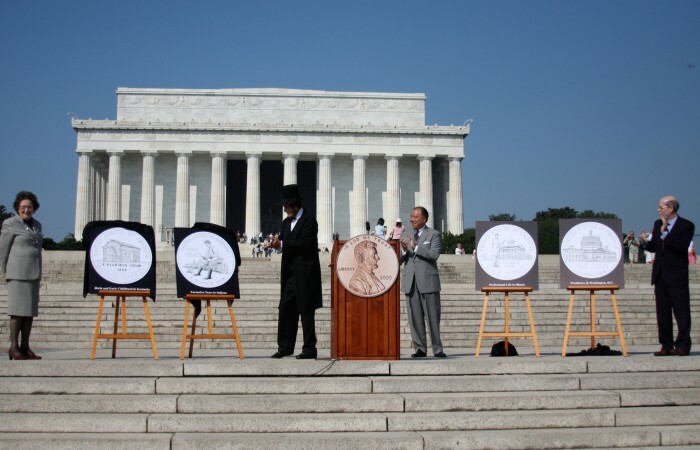 The four designs, from the left: Birth and Early Childhood in Kentucky, Formative Years in Indiana, Professional Life in Illinois, and the Presidency in Washington, DC. 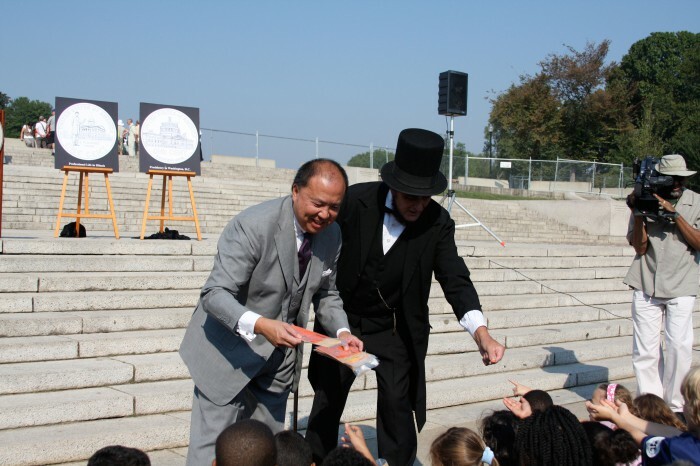 Myself and Honest Abe doing what politicians do best…giving away money (at least its only a penny to each child).